Hi Double Chinners! I can’t think of one “subject” for this post so I thought I’d just write a bunch of small things. 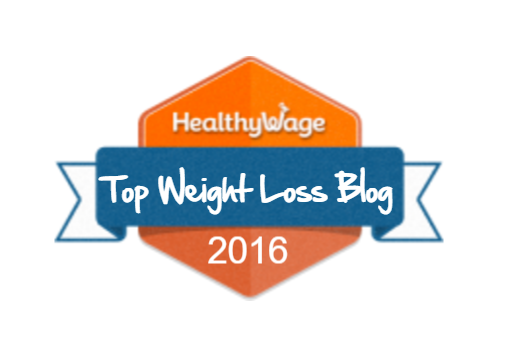 1) Can you recommend a decent fat free or light salad dressing? I tried Kraft’s fat free Caesar dressing with asiago cheese and it tastes like maple syrup and pepper – yuck! It’s way too sweet and just tastes nasty. I love Hidden Valley Light Ranch, but at 80 calories per serving I know I can find something better. 2) I’m waiting for my finger nails to dry. 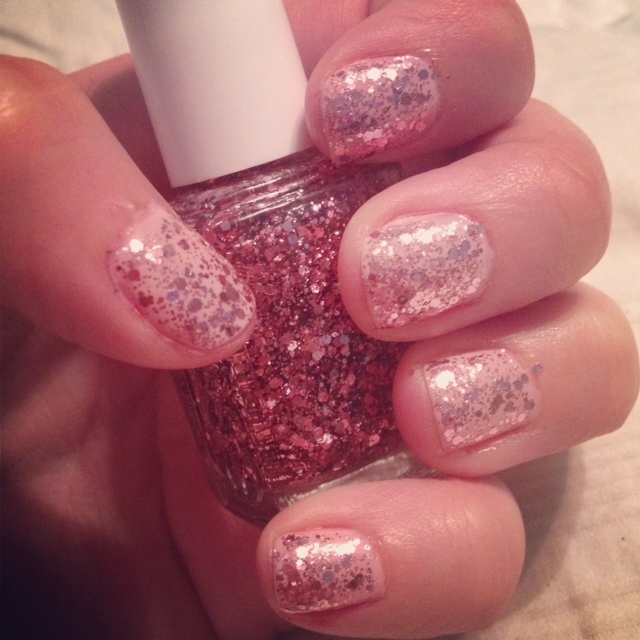 Tonight I did a pale pink base coat with chunky pink glitter. Painting my nails is another fun and random thing I like to do when I have free time, or when I’m avoiding working on my thesis (like baking cupcakes)! 3) Tomorrow night is going to be a tough willpower night for me. My grad cohort is having a party at Los Toros, my favorite Mexican restaurant ever – and their tortilla chips and bean dip are out of this world. My registered dietician and I decided I should try to avoid them, as we know that tortilla chips are a big trigger for me. It’s going to be hard, but I’m going to try my very best. I’ll report back on ChipGate 2012! 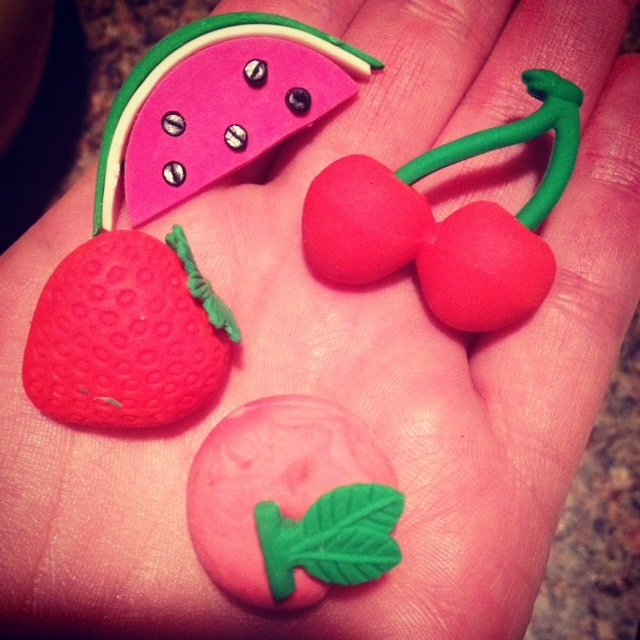 I'm kind of obsessed with food erasers. 5) Do you feel like you have 10,000,000 reusable bags, too? I appreciate the efforts to help reduce the environmental impact of plastic bags on the Earth, but good heavens! I’ve got reusable bags coming out the wazoo. The tragedy is, I never remember to take them out of my car to actually use! Now, it seems like they’re the latest freebie at stores like Old Navy… So I keep on collecting them. Hmm. Maybe I’ll have to package aforementioned giveaway in a reusable bag! That’s all I got. What random ramblings do you have for me? This entry was posted in Random Ramblings and tagged essie, fat free salad dressing, food erasers, kraft, nail polish, random ramblings, reusable bags, tortilla chips, trigger foods, watermelon. Found this recipe for making your own light ranch dressing. It’s 255 calories and 1.75 fat grams for the whole jar! Whisk together, chill for one hour. MMMM that sounds yummy! Thanks, Lisa! i use an italian dressing- hidden valley non fat. I use 1 tbsp and it is 0 points. Good luck! Do you have a Trader Joe’s near you? I love every single one of their refrigerated salad dressings. They are low calorie. The Asian dressing is my favorite with the champagne pear vinaigrette as a very close second (which is really awesome when you put chopped apples on your salad with chicken and goat cheese – I’m just sayin). I also am a fan of their fat free balsamic dressing. I don’t buy anymore pre-made low calorie dressings from anywhere else. If I can’t have those, I would rather just have EVOO + vinegar+ Dijon mustard. Ok, Amanda is making me VERY sad that I’m not near a Trader Joe’s anymore. I had never tried their salad dressings, SOB 🙁 I really like the EVOO/vinegar/dijon mix myself too. Oh and LOVE the nails! !